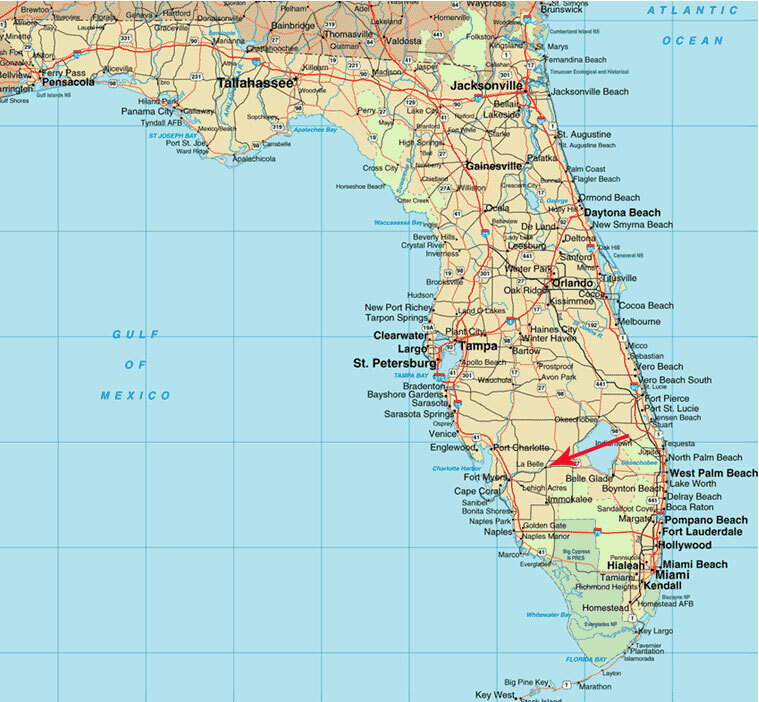 Labelle, Florida is located 30 miles east from Fort Myers and about 100 miles northwest from Miami (see a map). It has subtropical climate, with hot wet summers and mild dry winters. Flat areas with both cultivated farms and wild land, close proximity to beautiful beaches of Gulf of Mexico and friendly climate - it all makes this area in southwest Florida a very attractive place for a visit. There is much to do during your free time and during weekends, just check few surrounding popular places. In LaBelle there is about 5,000 residents, but make it 10,000 if you add people from close proximity farms and communities. The city is home to people of a wide variety of races, ages and backgrounds - you will meet white-collar bankers almost as often as cowboys and ranchers, young kids just often as retired people, who come here from northern states to enjoy local mild climate. It is possible to buy grocery, clothes or any other standard goods here. There are few fast foods, regular restaurants, 3 shopping centers, etc. There are no fancy malls though (these are 30 miles from here in Fort Myers), but everything you'd expect in a small regional city is here. 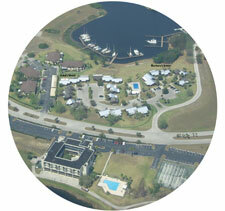 LaBelle is located in on the shores of the Caloosahatchee River. The area was originally settled by the Caloosa Indians. LaBelle means "the beautiful" in French. 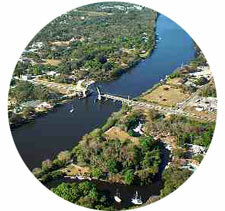 According to Florida history books, captain Francis Asbury Hendry named the area in 1896 for his daughters, Laura and Belle.